Hello there. 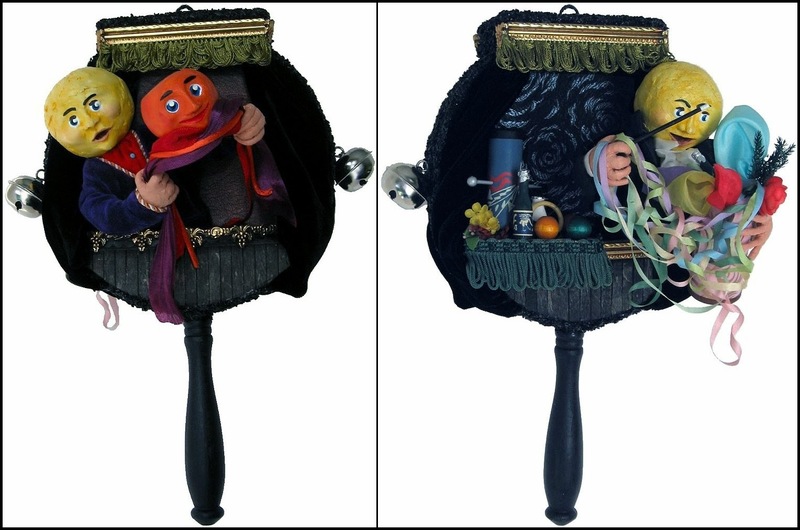 I thought that I would show you as best as I can how my brain works and the process I went through in designing "The Double Sided Portrait Rattle" that I have in the EHAG Emporium blog sale. 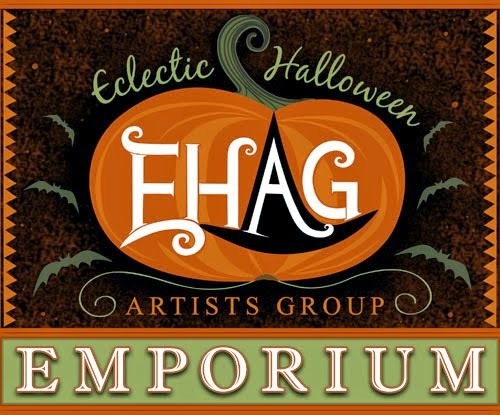 I signed up to be a part of the EHAG Emporium about the 19th of January with no idea of what I was going to make. 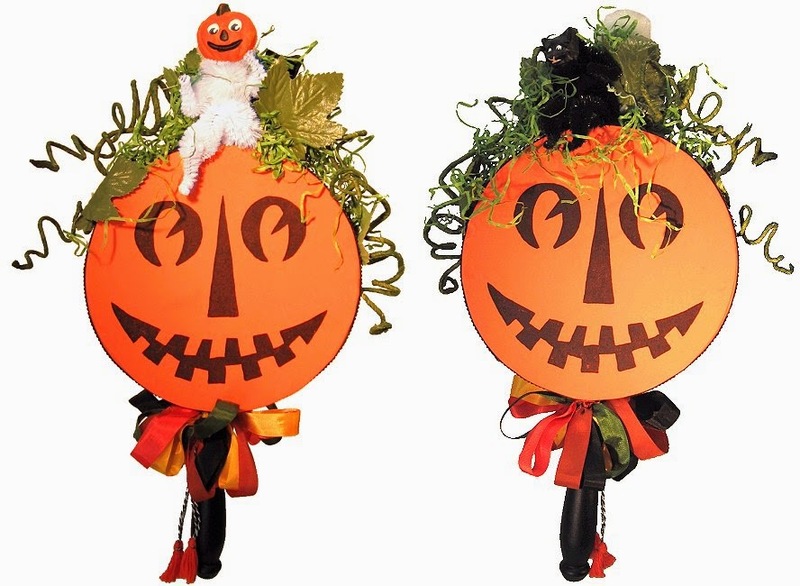 I had a large rattle body for the "Jack O Lantern Party Rattle" that was not usable because of a small spot of paint on it so I decided to make a large version of the "Portrait Rattles". The following had very strong input into the finished rattle. Like everyone else I have some favourite blogs that I follow. 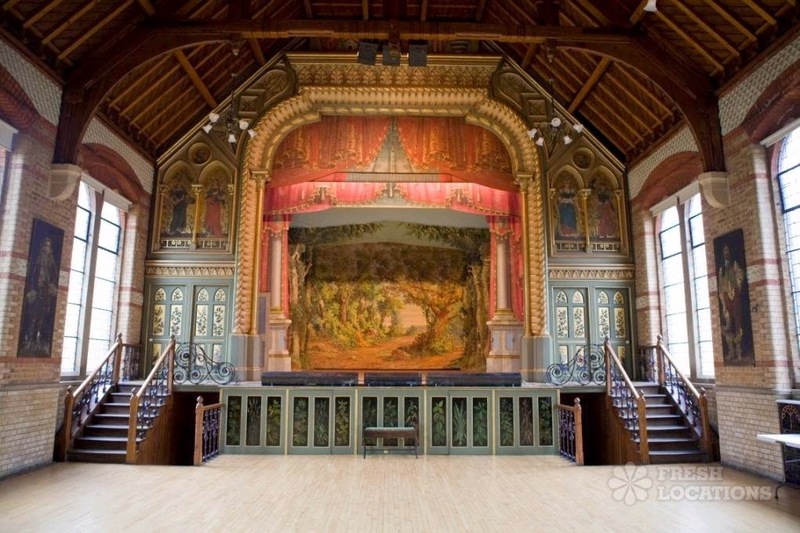 Chocolate Creative, blogged by two British women that love design, had a post on the 12th of January called "Quirky locations", that showed images from a film location website showing some old and decaying interiors of a British music hall. I went to the website "Fresh Locations", had a look around and found it very intriguing. I have 19 assorted drafts for the "A Little Tour of My Brain" series for my blog that I work on at various times. The one on stage magicians had very few images in it. I have been looking at second hand book stores but found nothing of any interest. When we were in Toronto we visited Anthropologie and they had a book from the Taschen publishing house on the history of stage magicians from 1400 - 1950, 600 or so pages, all colour, 18" by 12" app. and costing $234.00. I want it. If you would like to purchase it for me leave a message and I'll get back to you. 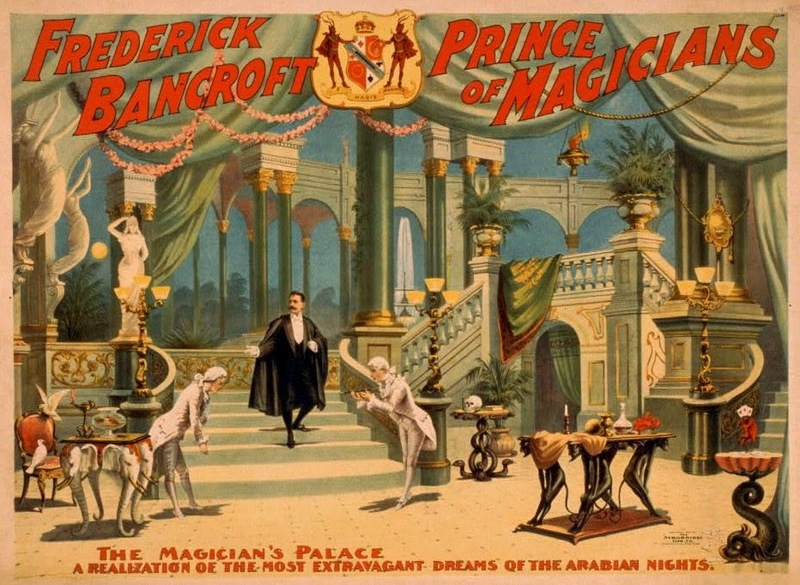 I was surfing the web and came across the US Library of Congress and their amazing collection of magic posters. There are so many images to look at. 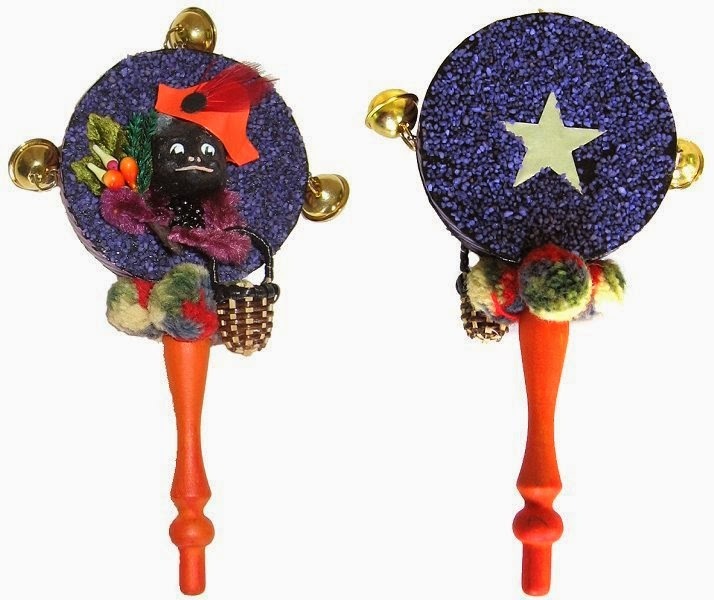 They became several blog entries that I put up prior to the EHAG Emporium opening. There will be about 2 more entries on stage magicians in the near future. 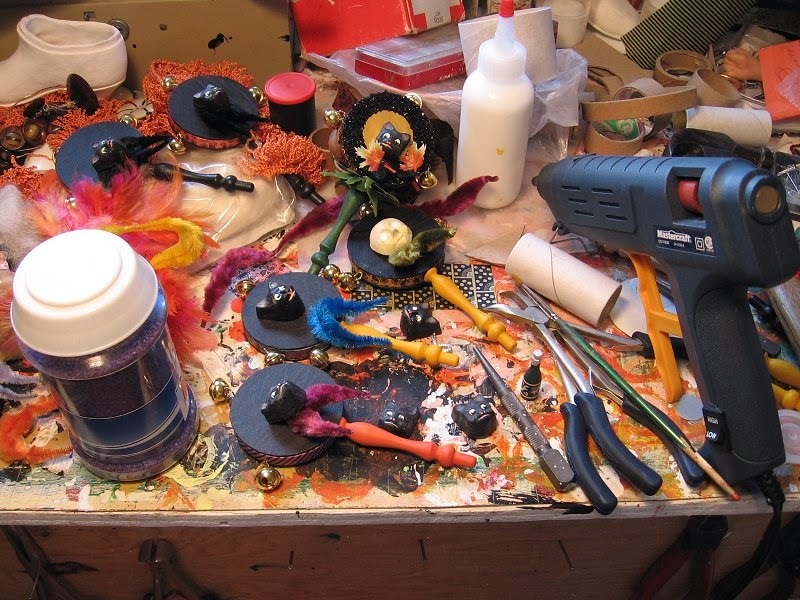 This is what my desktop looked like when I was making the original portrait rattles and I am sad to say that it hasn't changed to much, other than being a little messier. I very seldom draw, I much prefer to work out all of the problems as the piece is being built. I know what I want but I am also totally open to be directed by the art work itself. Drawing for me is boring. If I do draw it is a rough thumbnail sketch and that is about all. I look at my work as assemblage because it is influenced by what is at hand on my desk or what I have in my bins of goodies. I am constantly looking at anything to do with design. I have always believed that it is important to refer to the best design that is out there. The better the quality of design that you look at then the better the quality of work that comes out of your imagination. Haute couture, interior design, graphics of any sort - I love labels, graffiti, and Japanese street fashion are all fascinating to me and influence what comes out of my head. Check out previous entries that are under "A Little Tour of my Brain" to see what else influences my work. Thanks again for the little tour Len. Your creativity shows through on your pieces. To me they always seem to be layered with thought. They evoke the vintage yet translate the now. I appreciate your comment very much. I don't want to do reproductions of vintage or antique items. I have hoped that they bridge both the old and the new. Thanks again Jorge.